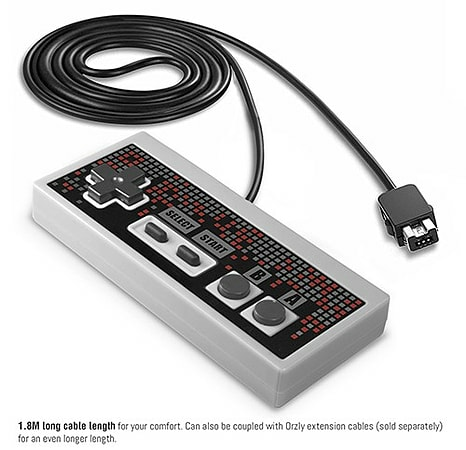 The Orzly NES Classic Edition wired controller has a 1.8 metre cable, perfect for sitting on the sofa in comfort whilst playing old school Mario! 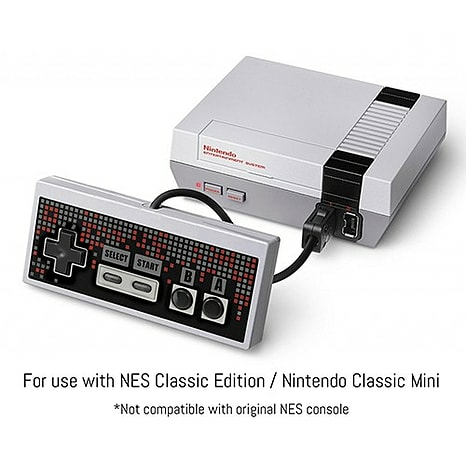 Available in a Twin Pack. 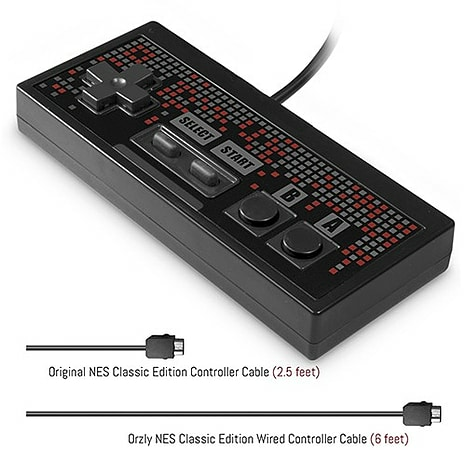 The Orzly NES Classic Edition wired controller comes with a 1.8 metre (6 feet) long cable allowing you to sit a comfortable distance from the television. 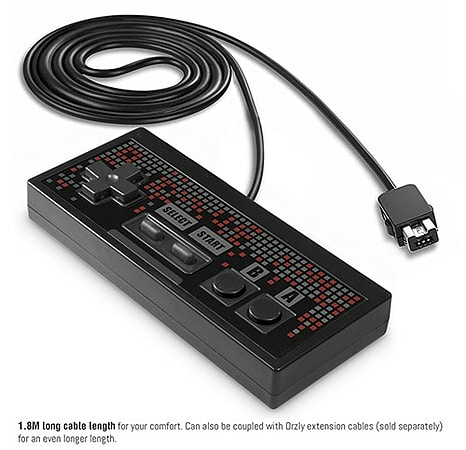 Comes with the standard button layout you’re used to with all the buttons of the original controller including the D-Pad, A & B buttons and start & select buttons.